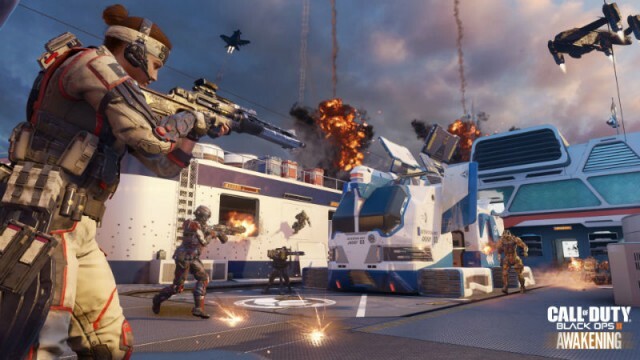 Activision and Treyarch aren’t done with Call of Duty: Black Ops III just yet, it seems. Several rumors have been flying around the web over the last several days seemingly confirming that the shooter, released in 2015, is to receive additional DLC this year despite its position as being the latest in the series having long-since passed. A majority of those leaks come by way of Reddit, although an ESRB rating (via VG247) of the so-called Zombies Chronicles had also been spotted previously. As is the case with all rumors, of course, they can’t be labeled as official until the appropriate parties come forth with an announcement. It’s a good job, then, that Treyarch has today done just that. Co-studio head Jason Blundell made an appearance in a recent video released today by YouTuber JCbackfire, confirming the good news by way of a shirt adorned with the words Call of Duty: Black Ops III Zombies Chronicles. Blundell promptly follows the badly-kept secret by providing a few details on what’s to be included in the add-on, which will include updated versions of eight different zombies maps from past Call of Duty titles, including World at War, the original Black Ops and its sequel. A current-gen version of Nacht der Untoten? Yes, please! Sadly, it looks like we’ll have to wait a little longer for an official trailer, but until it arrives, you can watch the reveal video in question below. As for this year’s new entry, in case you’ve somehow avoided all of the publicity, Call of Duty: WWII is out this November and will return to the setting that started it all.